For America's growing small businesses, the solutions offered by a VoIP phone system are worth taking noting. VoIP is widely recognized for the tremendous advantages it offers small businesses in terms of cost savings and efficiency. With intuitive features that increase company productivity, and the ability to blend traditional PBX systems into a common platform, VoIP systems help small businesses accomplish much more while spending less. As your small business grows in size, VoIP phone system solutions are customizable and adaptable to your company's expanding needs. 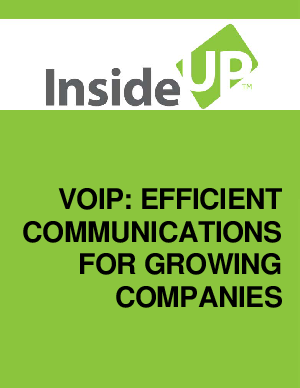 Small businesses that make the move to VoIP typically experience an increase in productivity and customer satisfaction as a result of the change.